Miss Ava has another surgery scheduled. September 16th. It is to remove the skin around her old mic-key site, close up the "hole" inside and stitch her skin back up. They told us at the appt we had to address the fact that for over a month after her mic-key was removed all was well and it seemed closed and healed but then one day started oozing and is not getting better on it's own, in fact seems to be irritating the surrounding skin no matter how often we try to keep the area clean, that this is usually an outpatient go home on the same day kind of deal. But when the scheduling lady called today she told us they almost NEVER send the patient home same day. We figured as much anyways, but still, BUMMER!! What an accomplishment though. To be eating and growing and doing so well all on her own. So proud of our Ava! 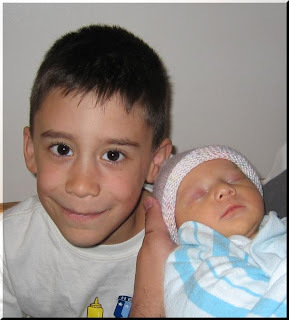 Ava was born on May 23, 2006. Six weeks early, but still considered full term. I was in labor for quite a bit of time, but only had to push 3 times. Besides my dr commenting on how much fluids there was, there was nothing at all uncommon or alerting about my pregnancy and delivery. Ava was born alert, pink, and gorgeous! It was love at first sight, all over again. That feeling you get when you first lock eyes with your child is indescribable, and when you hear women say they forget all the pain prior or how it was all worth it, they are not exaggerating, more like the understatement of the century! There is no higher high or greater joy. We never would of guessed the secret Miss Ava was holding onto. 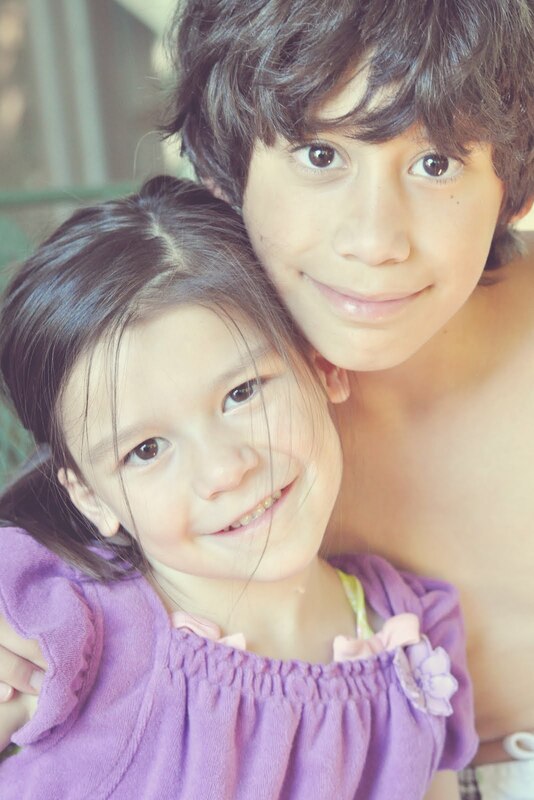 How her arrival with a broken heart would make ours forever and completely whole, but not before taking us on the most terrifying 3 month long roller coaster of a ride we call life in the ICU. Ava scored well on her APGARS, she came out crying, but was easily soothed in her mommy's arms. She was slow to feed, and we noticed milk would occasionally come out of her nose. Nurses assured us that some babies take longer to "get the hang" of things, especially since miss Ava made her debut a bit early. The doctor who examined Ava noted a murmur, but assured us, again, that it was probably harmless. The next day we were told they were taking Ava to run a few harmless tests to be able to 100% count that murmur as harmless. Hours went by. Then Ava's pediatrician comes in and says we are discharged and free to go as soon as I sign the paperwork. I point blank asked about the murmur, he said it was just that, a murmur and nothing else. Something she will outgrow. SO much relief washed over me. It was all too good to be true, though. Later a new man walked through our hospital room door. He would not make eye contact with me and did not at all resemble a man delivering good news. "Your daughter has a very serious condition. Her heart did not form properly. 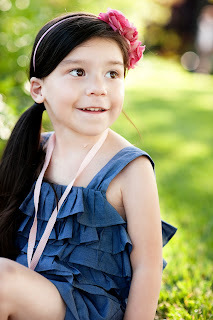 She has what is known as Hypoplastic Left Heart Syndrome, which is not compatible with life. 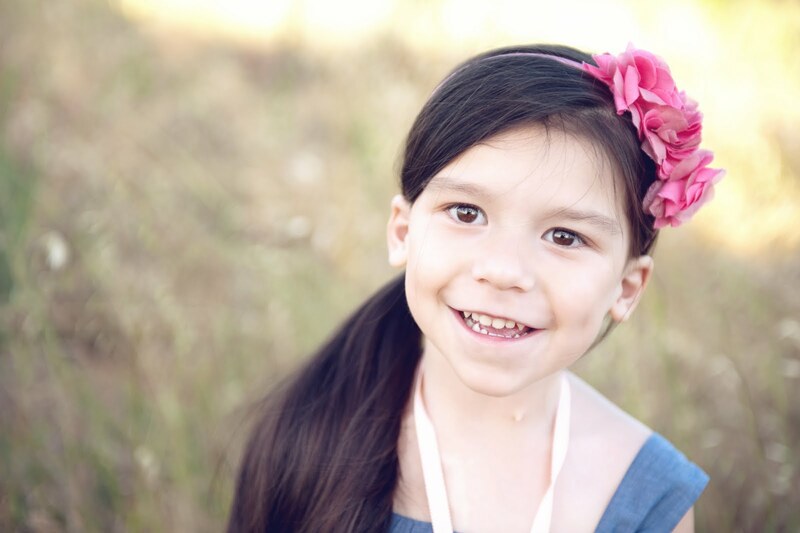 You have two options, take her home and provide comfort care until she passes, which will be within weeks, or permit her to be transported to UCSF or LPCH, where she will undergo part one of a series of three corrective open heart surgeries. The surgery itself is risky and nothing is guaranteed. You need to make a decision quickly. It was on that day that I found out what a CHD was, because my daughter was born with at least 4 out of over 30 possible ones. Once transported to UCSF, more tests were run and it was determined that Miss Ava actually had a more complex anatomy than previously thought. She had an interrupted aortic arch, VSD, ASD, and left ventricular outflow obstruction. Her surgeon told us he had never seen a case like Ava's. Not exactly the words that bring comfort and confidence to parents already in a state of shock and panic. Ava remained "stable" and the plan was to allow her to spend a week hopefully gaining and becoming bigger and stronger for her surgery. The risks were pretty high, in this mama's opinion. 20% under "normal" circumstances, 25% in Ava's case. On Tuesday, May 30th 2006, I left my precious baby girl in the hands of strangers I would later come to know as angels, miracle workers. Ava was in surgery all day, and once back to her room, there were many complications. I still recall being told we could go back and see our daughter, but having to work out way through DOZENS of doctors, and her surgeon at her bedside yelling for us to come to her side, touch her, talk to her, let her know you are here, give her all the love you can. She was so tiny, the amount of machines she was hooked up to and wires coming out of her was worse than any gory scene in a scary movie. Each one of them was working to keep my very unstable daughter alive. She was losing blood faster than they could give her more. And he stats were all over the place. Nothing prepares you for this, what could. 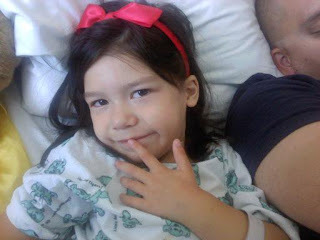 Later we learned that Miss Ava suffered a stroke while down in the OR. The damage was significant. We were shown the scans. The specialist let us know that at this age, and with this kind of damage(location, etc), that the long term affects are impossible to guess. Her brain could not necessarily recover, but sort of compensate. The only thing to do was to never give up hope and focus on her, rather than the what ifs. About a week later Ava's FISH test came back positive for the genetic disorder, 22q11.2. The absence of a thymus was detected by her surgeon, which meant Ava was at a greater risk for a compromised immune system. 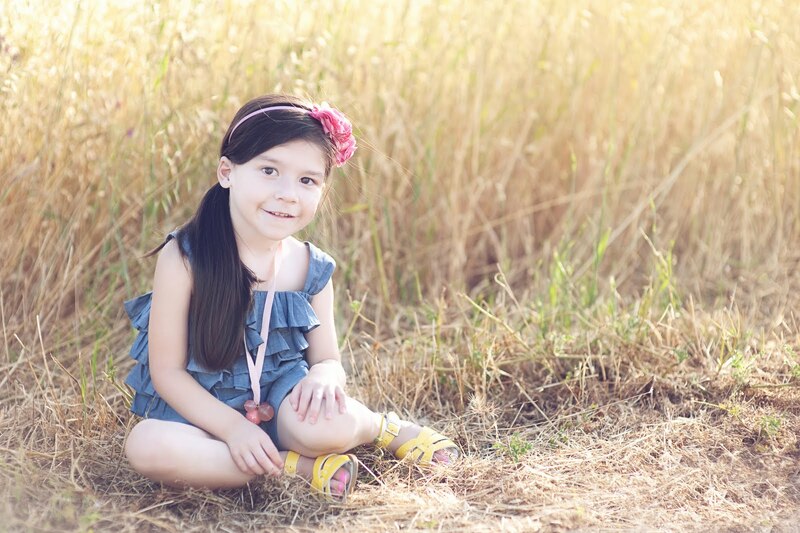 This genetic disorder also was more than likely the cause for Ava's heart defects. It was the reason she was having severe calcium issues, also. My daughter finally became stable and on the road to a "full" recovery, and we were able to fulfill our dream of bringing her home to her own bed and having both our children under one roof, just one week shy of her 3 month mark. She was still only just over 7lbs, had a mic-key for feeding now due to paralyzed vocal chords(happened during repair), silent aspirations, poor swallow function, and failure to thrive. We were sent home with many machines, our room actually resembled our previous room at the hospital! The hospital send us home with a nurse who hooked up all the machines and made sure we knew how to use them(silly, I had been doing all this for weeks now). There was Ava's oxymetry probe, the kangaroo pump for feeds, oxygen, a suction machine, that machine that just blew air into Ava's lungs, forget the name of that one, and the very large, very loud,very evil, cpap machine. To this day I HATE cpap. 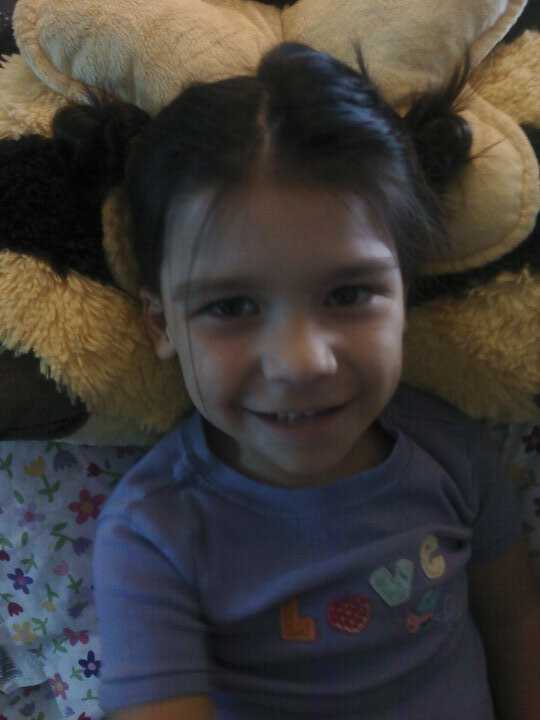 Hard to look back and realize there was so much going on for such a tiny little girl. 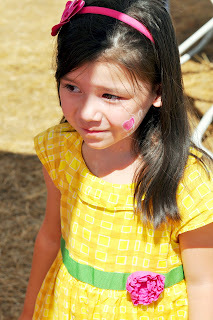 Anyhow, once home our girl thrived and gained and became a very happy little miss. The machines one by one vanished, the continuous feeds became bolus, we all got back to a brand new state of "normal". Many of the hospital staff expected to see is within a month or two for Ava's second stage of surgery, but little miss surprised them all and continued to just do better and better. Her second state OHS didn't happen until a week after her first birthday, almost exactly a year from the first. Everything was so different this time around. Even though her surgeon was able to do a DOUBLE VENTRICLE repair, Ava's second surgery time was still significantly shorter than the first one. And once were taken to see her, the only person in her room was her nurse! ONE person attending to my one year old who had just had her second open heart surgery. No machines buzzing, no frantic faces, just one calm nurse changing Ava's sheets and making sure her wires were all in place and not tangled up, because there was NOTHING else to do!! YAY!! 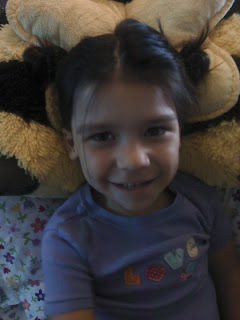 What a wonderful blessing, what a strong little girl I have! The recovery time was also dramatically less. We were discharged 2.5 weeks post op. Would of been a week sooner, but Miss Ava ended up requiring a pacer. Since then, Ava has made so many milestones and become an inquisitive, precocious, adventurous, dramatic, cautious, brilliant, artistic, mischievous, naughty, loving, joyful 4 year old bundle of love! She is currently enrolled in preschool, has speech twice a week, sees her cardiologist every 6 months and tests mama's patience multiple times a day! 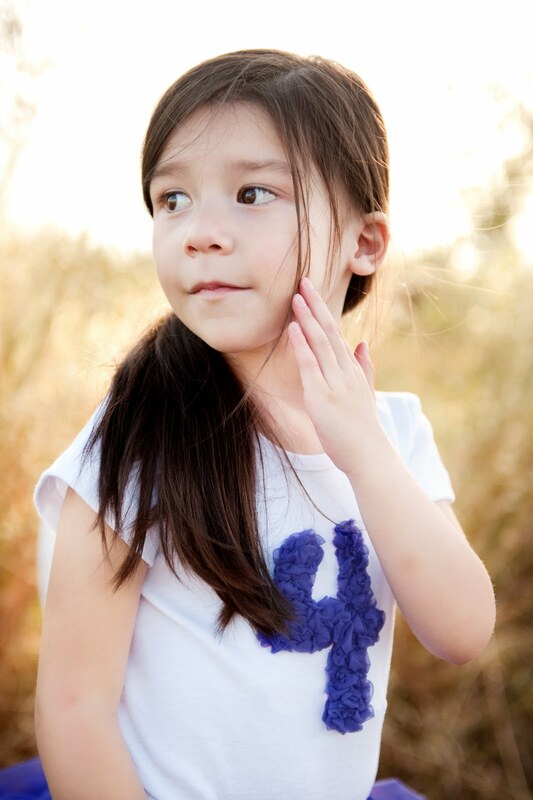 :) Ava has played soccer, is now into ballet and tap and hopes to play tee ball next spring. 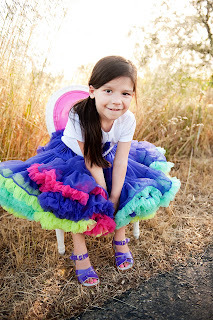 Ava is obsessed with all things princess and sparkly, and bugs! We are promised nothing as parents with heart children, experience pain and sadness, joy and fear on levels impossible to explain. But I consider us the lucky ones, we have this life where we have no choice BUT to marvel in each step they take, each word they utter, each breath they take. 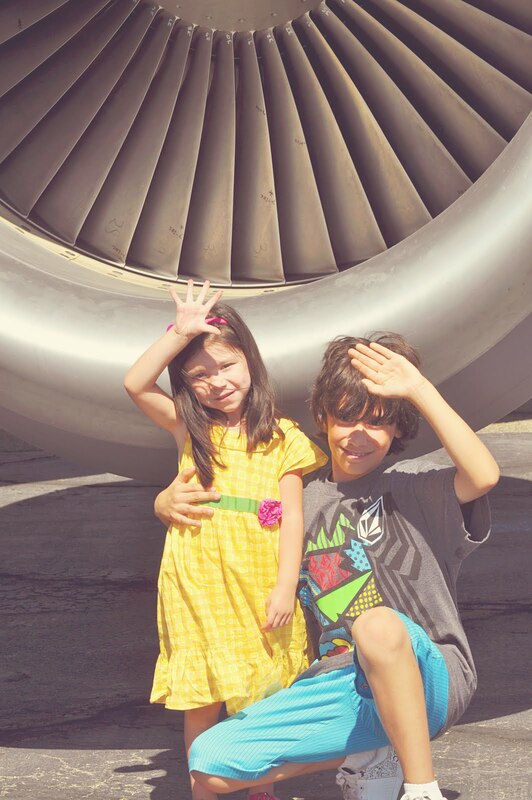 Everything is a gift, and I couldn't think of a better one than my beautiful children and their fascinating hearts. Miss Ava went back to school on Monday, the 23rd. She was sooo excited to see her friends and teachers. 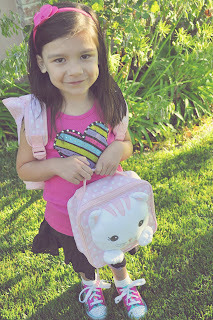 This will be Ava's last year of preschool, next year she will be entering Kindergarten. WOW, seriously where does the time go? 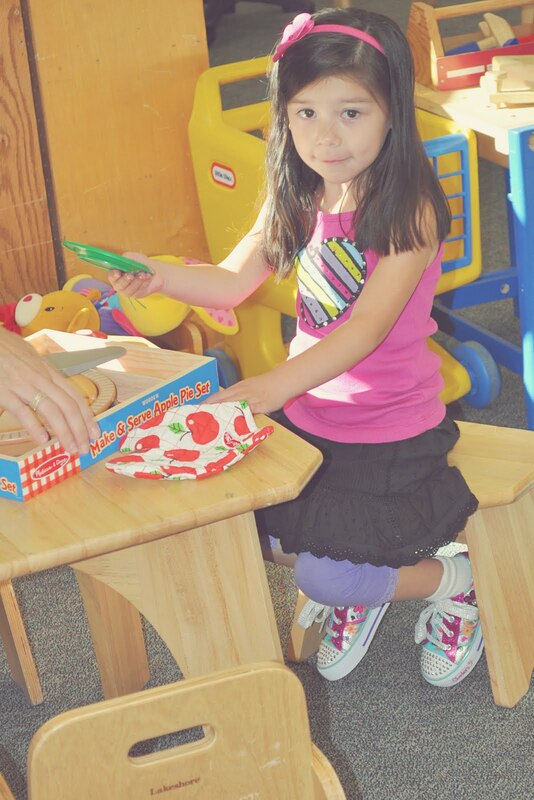 For those who may not know, Ava attends a speech enrichment preschool. The focus is on speech, which is where missy is (temporarily) delayed. The class is only 2 times a week, 3 hours each time. There are three wonderful teachers in Ava's class, as well as a APE(adapted physical education) teacher and a speech therapist. 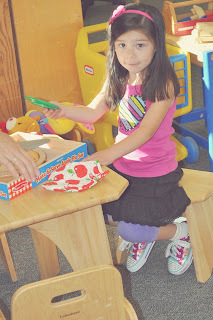 Ava LOVES going to school, she gets so excited and comes home from class all excited and anxious to share what she did that day. It has helped her in so many ways. 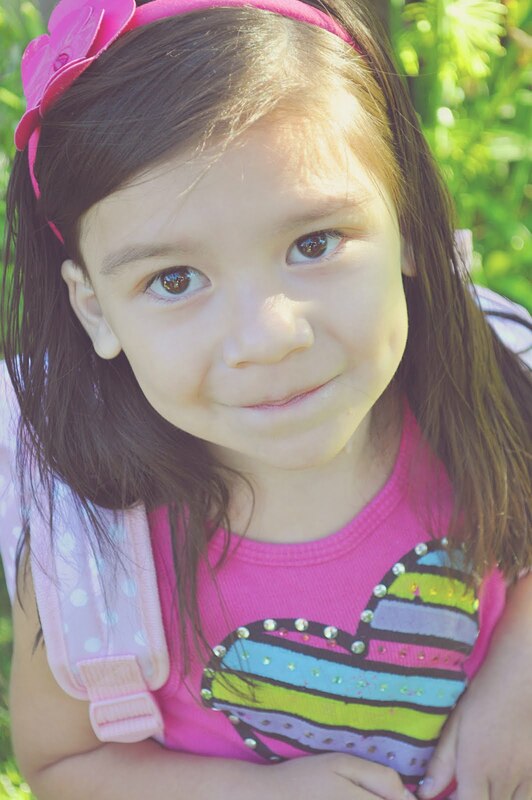 I am very satisfied we chose to enroll her early, my prayers are she will be mentally ready for a full day of Kindergarten next year, thanks to this class and having 2 years of preschool and three summer programs under her belt. I saw a few photos of people who bought those mini chalkboards and would write down their child's entering grade and have the kiddo hold it for a photo on the first day of school each year. 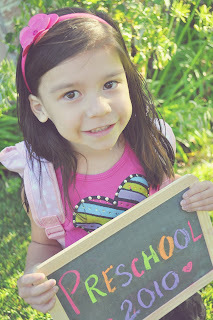 It was the cutest back to school photo idea I have ever seen! So I began my last minute search for a mini chalkboard, lucking out at Michael's finding the perfect size for only 3 bucks(thanks to Mom and Paulette for accompanying me)! I gave my son Greg, who is entering 5th grade(why couldn't I of found/thought of this idea sooner!) 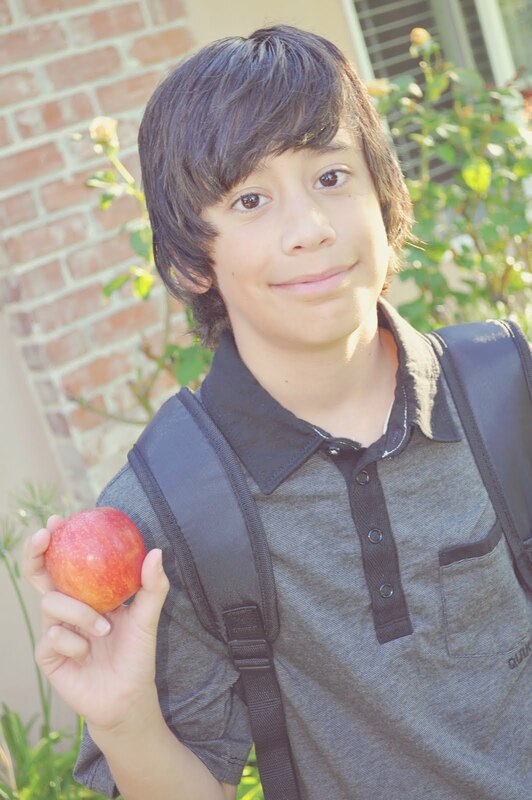 the option of posing with the board or with an apple, he chose the apple. Heh. Which still made for a great photo! But I LOVE the way Miss Ava's first day of school photo came out. LOVE. This will be our third year participating in the local heart walk, and we are asking you to please please please consider walking with us, and donating. 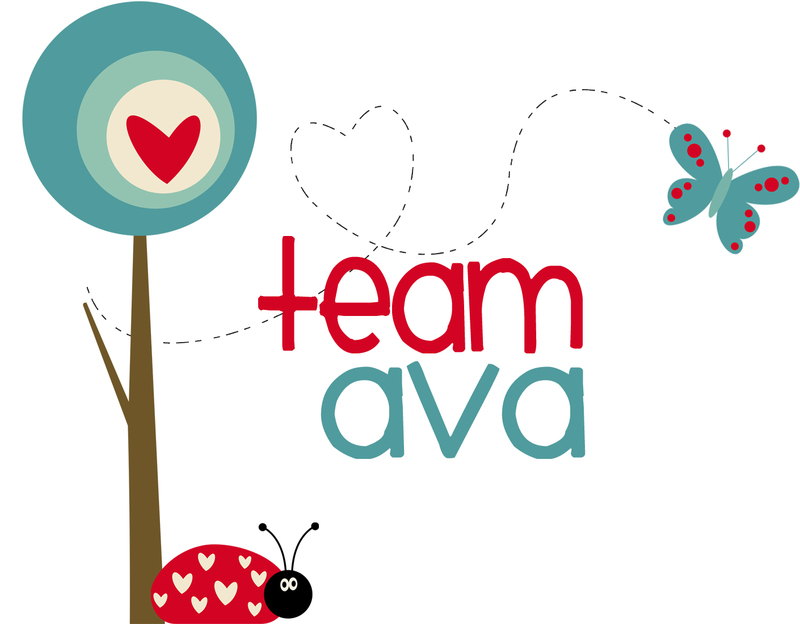 Usually I am not too pushy about the donation part, walking and showing Miss Ava support is more than enough! 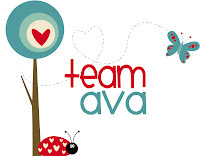 But this year ALL donations made to Ava's Team will go directly to funding for pediatric cardiovascular research. As many of you know, Ava was born with several complex congenital heart defects. She required open heart surgery at just 7days of age, or she would not survive. 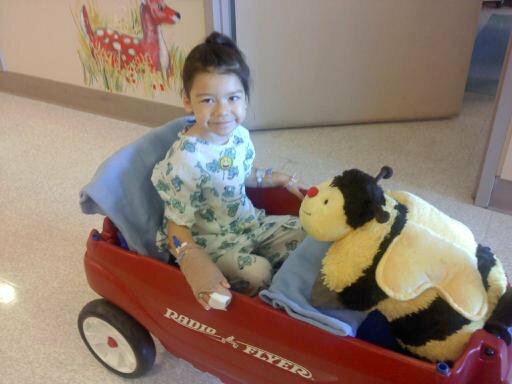 She required a second open heart surgery at one year of age, and will continue having surgeries through her life. Funding for research gives our babies a better chance at life. Ava's cousin Torie visits from Ohio! ...and madness ensues! Not really, but Miss Ava and Greg sure have LOVED having their cousin around the last few days! :) The days leading up to Tories arrival all I heard from G was "When does Torie get here mom? How many days are we hanging out with Torie, mom? What kind of music does Torie like, mom? Do you think Torie will want to come over and go swimming with us, mom? Is she going on a plane all by herself mom? When do I get to do that, mom? (never)" Etc, etc etc. You get the idea. They were both just a tad excited. So we took the cousins bowling at Crestview(which was totally dead, btw. Maybe people think it already closed?). I think Ava won the first game, and G won the second(I have to add that Miss Ava got a STRIKE in that second game, though! ). Torie shouldn't feel bad tho, my kids are notorious and ruthless cheaters!!! ;) So if there was a way, they found it. Next up was the State Fair. We didn't get to take Ava last year because I don't think there was a single day that worked into our schedule that the temperature wasn't over 105. Insane. And miss heart diva doesn't tolerate that kind of heat well at all. We loved hanging out with Miss Torie though, hopefully we can get out to Ohio soon for a visit ourselves! Hi all, So these photos are on here a little late. They are from the photos we had taken by the amazingly talented Megan Squires at . She did such a fabulous job with Ava that this mama had a terrible time picking my favorites and narrowing it down. Funny story. Megan is actually someone I knew from High School. I saw a little ad for her website on facebook one day, and fell in LOVE with her work. I actually had no idea who it was, until I read her about me bio and saw her photo. Then it clicked and I was like, "Oh I KNOW her!" And what I could remember of her, she was always super sweet and kind. So that along with the gorgeous and vibrant images I was staring at convinced me enough that I wanted her to capture Ava's next birthday and heart anniversary photos. SO glad I did! She was so unbelievably personable, patient and really had a knack for getting Ava to feel relaxed and comfortable. 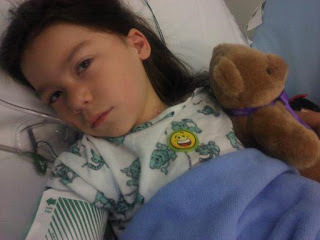 Most of the people who read this blog and know Ava well know that as of late(re:since all those hospitalizations for caths), she has a serious case of "stranger danger" going on. Which is not all that bad, except for the serious anxiety it brings with it. Eventually she warms up to everyone, though. No "eventually" was needed on this day, though. 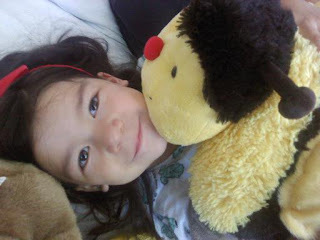 Ava loved "Mey-an" and actually still talks about her! It's very cute.